According to Clayton M Christensen, author of The Innovator’s Dilemma, disruptive innovations are characterized by their ability to create entirely new markets rather than merely update existing markets with new products. 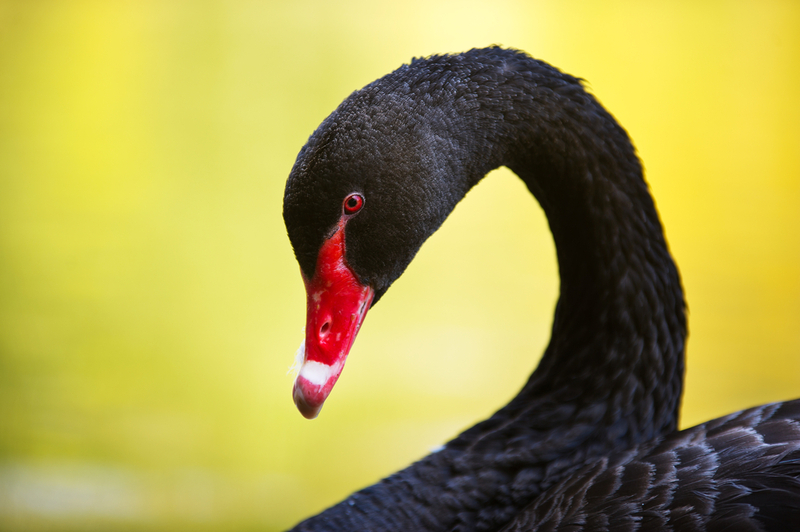 They are black swans, rare events where new thinking and changing markets combine to create radical change. A common example is the light bulb and Pearl Street Station -- a major gamble by Thomas Edison. Within years of its development the kerosene lighting industry was all but non-existent, and the world was a brighter place. (The kerosene industry had similarly put an end to the whaling industry -- thankfully -- a few decades earlier). My company, VisualDNA, sits at the intersection of (at least) four disruptive innovations that have arisen over the last five years and that are already making their impact on global society. I believe that as these four innovations continue to evolve over the second half of this decade, they will create the perfect conditions for VisualDNA’s unique approach to understanding people to create disruptive change on a global scale, across all industry sectors. Five years ago this term almost didn’t exist but it is now one of the fastest growing 'most searched for' terms on the internet (according to Google Data Trends). Analysts Wikibon predict this new sector will grow from almost nothing in 2010 to $50bn dollars by 2017. A report by PAC predicts big data will impact on every aspect of the global economy during the same period. PAC also found that the fastest growing area of all will be in services to understand big data. Most big data is historical and transactional. Understanding personality, psychology and motivation are the missing ingredients that will enable deep understanding of intent and truly predictive analytics. VisualDNA’s unique ability to engage users and turn their personality into digital form will be at the forefront of providing this vital information to power conventional big data. Psychology is undergoing a number of dramatic changes as new technology allows us to understand how the brain and personality are linked. Neuroimaging allows us to visually track the workings of the brain and identify how different responses and our emotions work at a chemical and neuron-level. Daniel Kahneman’s work on decision-making and behavioral economics is just starting to make itself felt in the mainstream and will become increasingly influential as real-time big data allows us to understand and model human responses at a macro level. Computer scientists are developing ever more sophisticated simulations and models of the brain allowing experiments and analysis to be performed, changing the way we see the brain and raising the possibility of truly understanding 'what makes us tick'. As this understanding develops, it will have a major impact on our understanding of people and how they behave. VisualDNA is already leading the way in understanding how individuals behave online, and through our partnerships and research we will continue to be at the forefront of these developments. We spend more and more time online, and even when not online, our mobile devices give continuous information about our location and actions. We have created a new version of our self, a digital extension of our physical and emotional being that is becoming increasingly real and important -- and increasingly valuable. Our digital identity is now a major issue for consumers, pressure groups and governments. An unexpected side-effect of the growth of the internet has seen the data brokerage industry expand enormously. Major scandals about privacy, snooping and data leakage are an almost weekly event. Both the EU and the US are moving towards regulating the data market. For different reasons, and using different methods, Russia and China are also seeking to limit the free flow of data and take ownership of consumers’ digital identity. By 2020 I believe a major shift will have taken place in the way consumers own and control their online and offline data. A combination of regulation, consumer pressure and new technology will have created a new relationship between consumers and their online identity. Consumers will demand, and governments will enforce, their rights to their digital footprint. With this as a key part of our vision, VisualDNA is already developing the tools to allow consumers to do this and by 2020 we will aim to be the world’s most trusted place for consumers to store, protect and manage their online self. Another buzzword that has gone from almost unknown to being hugely over-used in under five years. The expansion of measurement and automation across the physical space becomes increasingly personal. Wired houses and multiple sensors tracking every car on the road for instance, are vitally important to the future of our resource consumption. It is human data that will really be significant over the next few years. 68 percent of data is produced to consumers (according to IDC, 2012). VisualDNA’s ability to understand people will be central to helping businesses and consumers cope with this volume of data, and make sense of it. By linking personality to personal data such as health, performance or mood, we will be able to show people more about who they are, why they are the way they are and who else is like them, and show businesses how to relate to consumers as individuals rather than as vague macro-level segments. The first is our unique position at the center of these four areas, and the way that trends in those areas will create the opportunity for our unique technology to be a solution across all these areas. Our position at this intersection is, I believe, unique and represents a huge opportunity to create a new segment not only within the big data market but across any sector where understanding people is important. Think what a better understanding of people’s personality could do in healthcare, or in media, or in retail. Our second advantage comes from being under the radar. Trend-spotters and investors are busily looking at and investing in all four of these major innovation areas. But how disruptive are these technologies right now? Each one of them is hugely game-changing in its way, but the disruption has already been factored in to most companies business plans and projections. They are heavily signposted, with so many entrepreneurs and investors looking for the next big thing, a consensus has grown up about these technologies. Perhaps they are no longer as disruptive as they were? True disruptive innovation comes from combining existing or new technologies that are better than existing methods. To use psychology as an example, there are plenty of areas where psychology has been used for a long while - HR for instance. However, VisualDNA’s ability to combine new advances in psychological understanding with big data and multiple data sources such as wearable technology will create huge opportunities in the field of workplace culture and understanding, opening up new ways to monitor and predict performance and fit within an organizational culture. Finally, one further point from Christensen about disruptive innovation: truly disruptive innovation tends to come from unexpected sources and is developed by new players -- existing market leaders are too trapped by what works now to think of something that will replace it in the future. These four innovations could be said to be evolutions of technology that already exists. All are important breakthroughs, and will have a huge impact in their way. For me, the most disruptive and exciting technologies are not on any investor’s radar, and are not incremental evolutions of something that already exists. They come from combining well-understood and existing trends and technologies in a way that makes the world different. They come from small companies with big visions and a hunger to create change. Big data + psychology + digital identity + the internet of things is one of those rare situations where radically disruptive innovation can occur -- a black swan just swam into view. Jake Ronay is director of planning for VisualDNA. 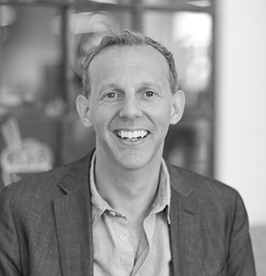 With over 15 years’ experience in delivering growth strategies for businesses and organisations, Jake Ronay manages strategy and planning at VisualDNA. Jake's involved in preparing the Shoreditch-based company for future investment rounds as well as tracking and reviewing performance across all business areas and developing new market entry strategies. A key part of Jake's current remit involves coaching and advising the CEO and senior team and working with teams to prepare and deliver VisualDNA's rapid expansion across retail, media, financial services and big data marketing.